London Wants Extradition of Russian Suspects in Skripal Case. The British government is going to ask Russia to deliver two men to Britain. They are speculated of engaging an attack with the deadly nerve gas Novichok. According to the newspaper The Guardian, which raises sources from the government and secret service, the text of the extradition request has been drawn up and is ready to be sent to Russia. 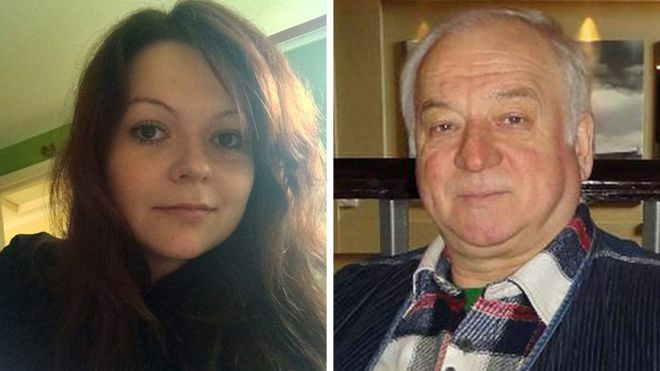 The two are suspected of committing the attack with the nerve gas on Russian former double-spy Sergei Skripal and his daughter Yulia. Novichoke is a chemical weapon that was once developed in the Soviet Union. Both survived the attack but were ill for months. The Russian Embassy in Great Britain said today that it had not received an official request from London to hand over Russians. “We do not trust such uncontrolled and fake media reports at all,” said an ambassador at the TASS news agency. The Constitution of Russia prohibits the extradition of Russian citizens to another state. For this reason, the country refused to surrender the men who were wanted for the murder of Alexander Litvinenko. Litvinenko was killed in 2006 with the radioactive substance polonium.